The Allett Lawn Grooming Brush Cartridge is designed to be used with the Allet cylinder mowers, making them an incredibly useful tool. 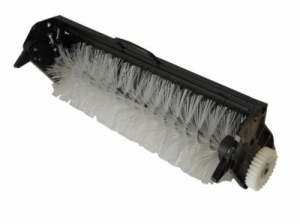 Easy to fit, and very effective, the Grooming Brush is designed to sweep and clear debris from your lawn, including worm casts, seed covering debris, and leafs improving the look of your lawn. Available in 3 sizes depending on the width of the machine - 14",17" or 20"
size to be selected when adding to the basket.